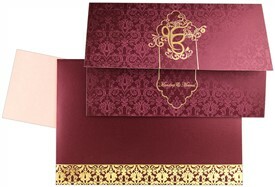 Gold foiled "Ik Onkar" symbol sets up the theme of the card. 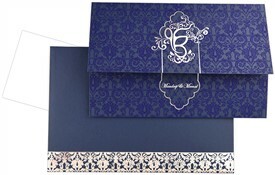 The card has beautiful baroque & rococo motif self-print. 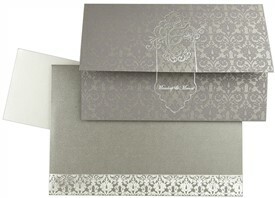 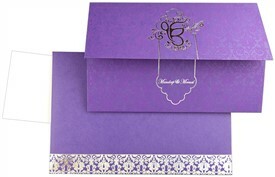 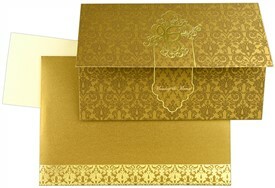 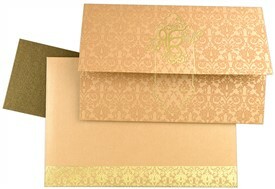 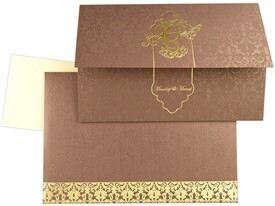 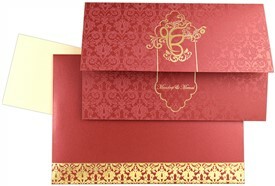 The envelope and center pasted insert is adorned with gold foil border. 2nd insert is plain. 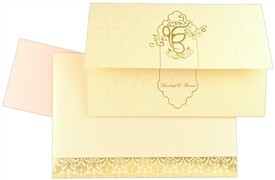 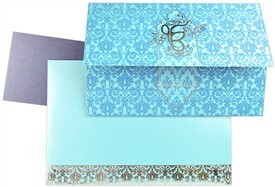 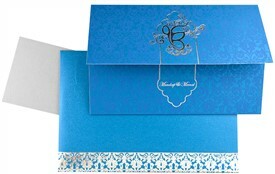 A graceful card to make your invite grand! 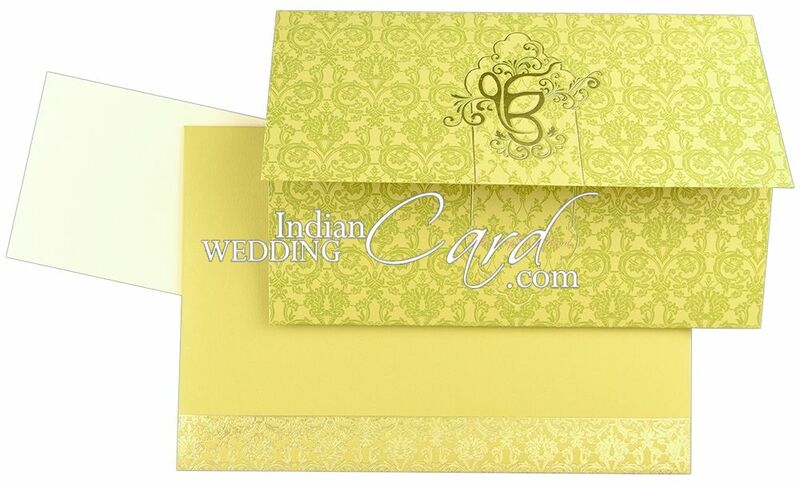 Yellow colored paper (250 gsm) for main card, pocket and envelope. 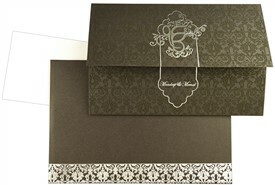 Plain white paper (250 gsm) for center paste-up insert and 2nd loose insert.